Oh, isn't this just so darling! Love, love, love. First there's the chalkboard backdrop which is super playful and fun. 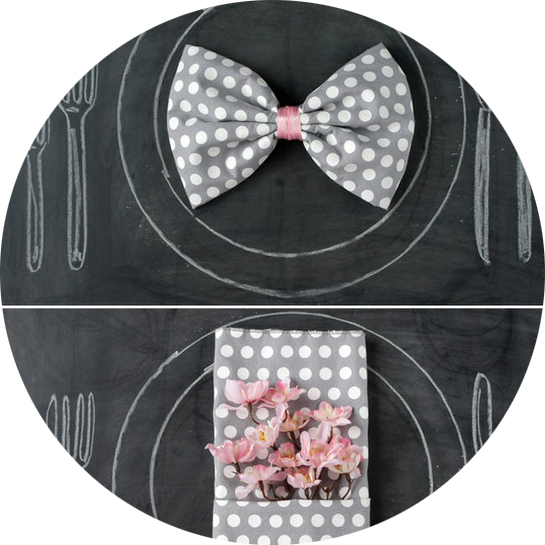 With the polka dot napkin, the pale pink and gray colors, the folds and the flowers .... the overall vignette then becomes sweet and sophisticated. Perhaps inspiration for a bridal shower? ?